As a community, Abbotsford is constantly growing. Whether it is the installation of a new storefront or a new living space, every property needs maintenance. 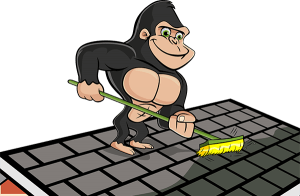 When it comes to those hard to reach spaces, like your roof, call our Gorillas! Our Abbotsford roof cleaning and moss removal is a must for keeping your space in good condition. 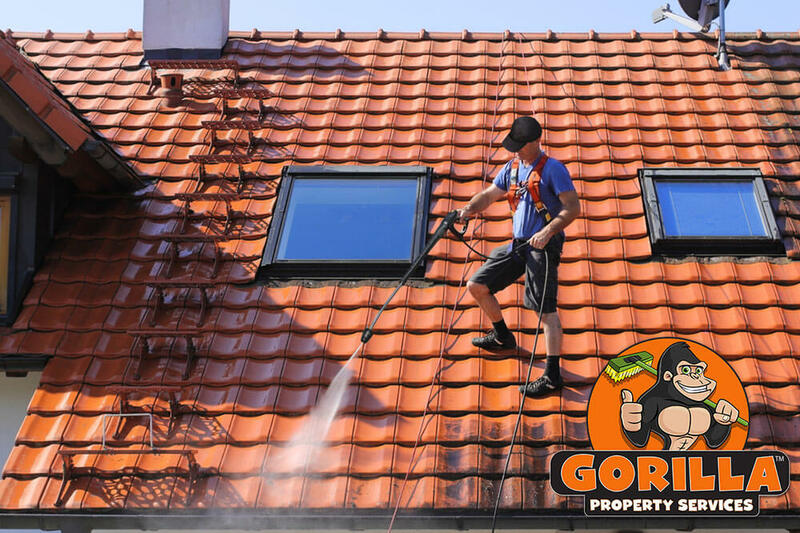 Keeping your roof clean does more than improve the aesthetic value of your property. From a street view, the roof of your home or business might look cluttered but this debris is more than a sore sight. Branches, leaves and other debris sit on the surface of your roof and act as a foundation for other materials. This foundation attracts new materials and layers them instead of having them roll of the roof. These materials break down and rot if left over time. This break down can cause serious damage to your property and even lead to (the much dreaded) roof replacement! Your Roof: What’s Up There Anyway? This question is asked more often than you think! Unfortunately, there is no easy answer. Your roof is a victim of circumstance on a day to day basis. Strong winds and bad weather can make the surface of your roof a feast of unwanted items. The most common culprits are leaves, sticks and even branches. This sort of debris is easy to deal with, but it having collected layers of debris can invite plant growth, such as moss, and even rodents. Abbotsford Roof Cleaning & Moss Removal: It’s Mean, It’s Green and It Looks Unclean! Heading up onto your roof is not a regular chore for homeowners. If it has been a while since your last visit, chances are that your roof has a moss issue in the works. Having moss on your property can be a pain – both physically and functionally. Getting up on your roof is a pain but removing moss is far worse! The most common DIY moss removal uses wire brushes but this is a misstep! Moss makes the surfaces of your roof soft and hard instruments can strip away coatings and damage materials.